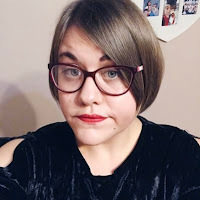 So recently I've been having a brainstorm about other things I can feature on this blog other than book reviews and I've come up with a few good ideas which will be up on here in the coming weeks. This is one that I thought would be pretty interesting. I am going to share with you my reading 'toolkit'. It's basically what things I need to have when I'm settling down with a good book. The things that are featured are things that I can't read without, and I don't think that will be changing. Some people can read with noises going on around them, which is fair enough. However, I'm not one of these people. I find it hard to concentrate on the book I'm reading if there is loud noise around me. I find it difficult to focus on the story and characters and I often find myself loosing where I am in the book, causing me to read all over again. I love a nice quiet environment where there is no noise and no distractions. It's also rather peaceful. 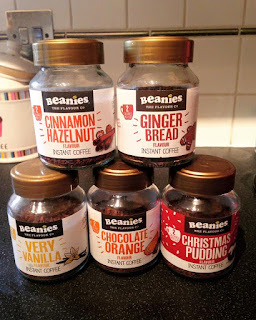 I am a big coffee lover and I literally live off the stuff. You could call me a caffeine fiend and I always have to have a cup or two or three when I'm reading. 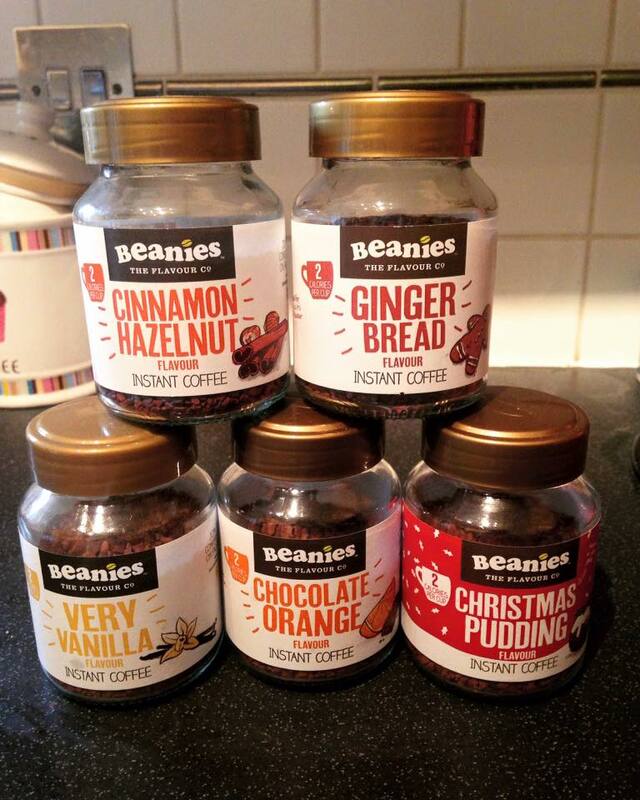 I am really into flavoured coffees right now and my favourite make is Beanies. The photo above is just a few of what I have. My favourite is Chocolate Orange! It's just delightful! Oh and they are sweet enough by themselves so you don't need sugar/sweetener with them, which is always good. Candles are my latest obsession and I don't know how I wasn't obsessed earlier. I love how they make my room pretty and smell nice. My favourite make is Yankee Candle (mainstream I know) and my favourites at the moment are the Sparkling Cinnamon and Cranberry Ice scents. Both Christmas exclusives which I managed to get at bargain prices in the January sales. Candles also seem to relax me a lot, which is always good when reading. I know this probably goes without saying, but I love having a comfy chair or my bed to sit on when reading. When you are reading a book you want to be able to relax and just immerse yourself in the brilliance of different worlds and characters so having a comfy surface to sit on is 100% necessary. My bed is probably the comfiest place I read and it is sheer bliss. I'm one of these people that hates turning the pages of a book or just using a bit of scrap paper to mark my place in a book. I need to have a bookmark and if I don't then there's trouble. I have a few bookmarks, but this is the one I am using at the moment. I love the rose on it as Rose is an old family name, and it's pink which is always good! So there's my reading toolkit. I'd love to know what yours are? and if we have anything similar.